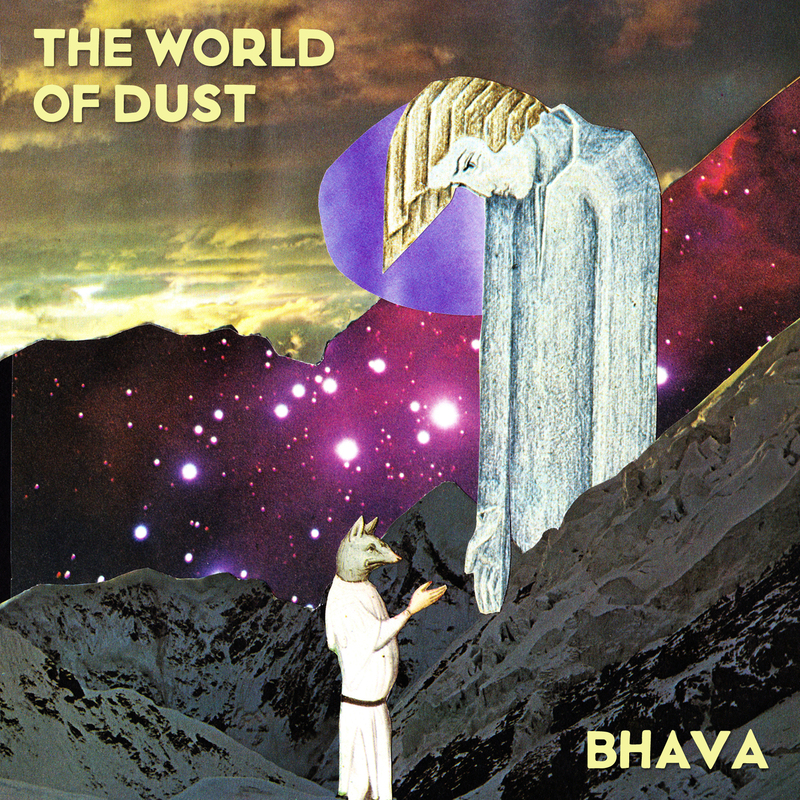 Bhava, the debut album by The World of Dust (Stefan Breuer), was released on Snowstar Records as a book + cd in 2013. The beautiful 44-page collage book, with a cd containing 13 tracks of ‘lo-fi progrock’, quickly sold out. With this new cd reissue (a collaboration between Snowstar Records and Tiny Room Records), the music is finally available again. Essential for all adventurous music lovers out there. On the album you find a mixture of bedroom pop, lo-fi folk, lush orchestrations, weird brass experiments, short cosmic space songs, and one epic 13-minute track about the history of the universe. The album contains guest appearances by Thijs Kuijken (I Am Oak), Aino Vehmasto (The Secret Love Parade) and Olivier Perez (Garciaphone). For fans of Robert Wyatt, Sparklehorse and Mount Eerie. Bhava means rebirth, and marked a new beginning for Stefan Breuer in his solo ventures, combining soothing acoustic sounds with esoteric visuals.